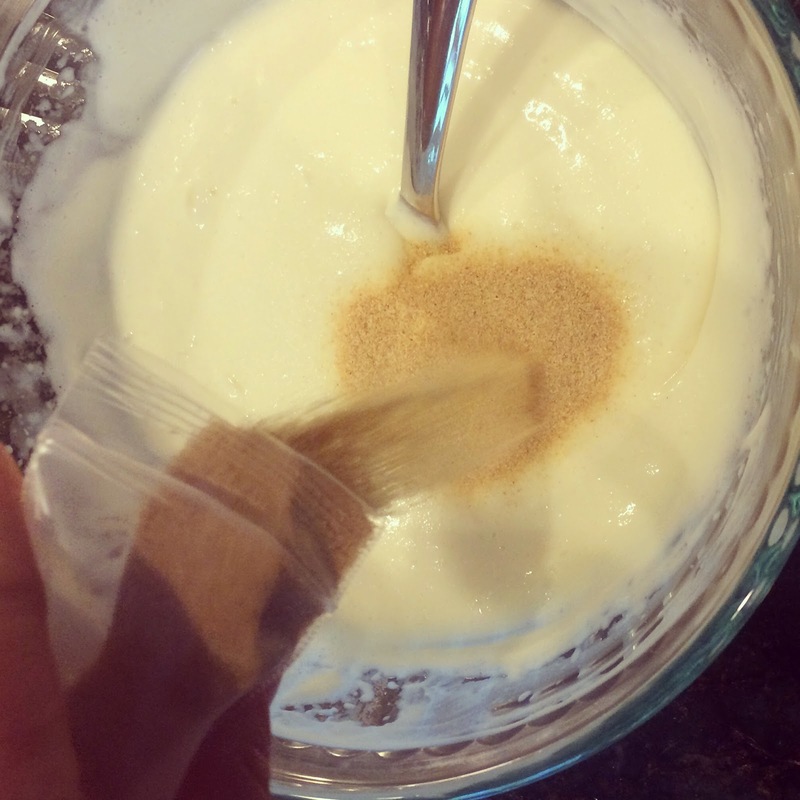 I really enjoy using body scrubs to exfoliate and moisturize my skin and I usually make a salt or sugar scrub. I realize that not everyone can use a truly abrasive scrub as they may have sensitive skin that requires a very gentle and moisturizing treatment. This recipe is designed for the folks that need a cross between a lotion and a gentle manual exfoliation treatment. A good ingredient to use is Formulator Sample Shop's Fig Seeds. Fig seeds are gentle yet tough enough to help rid the skin of dead cells and help reveal a glowing healthy complexion. 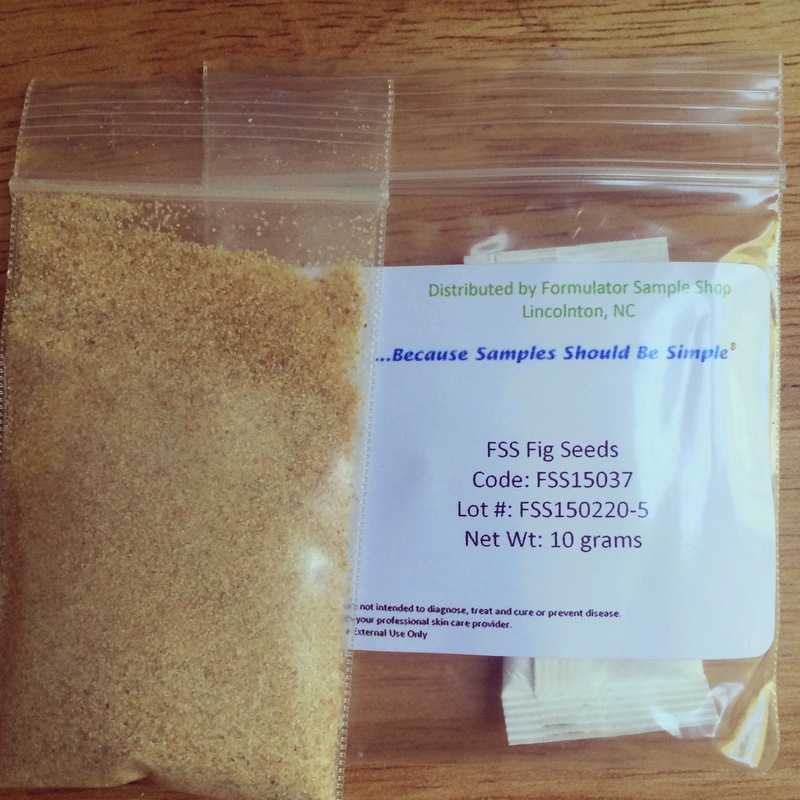 You can find out more about fig seeds HERE. You need 3/4 cup distilled water and 2 teaspoons of Mountain Rose Herbs Vegetable Glycerine. You can buy the vegetable glycerine HERE. 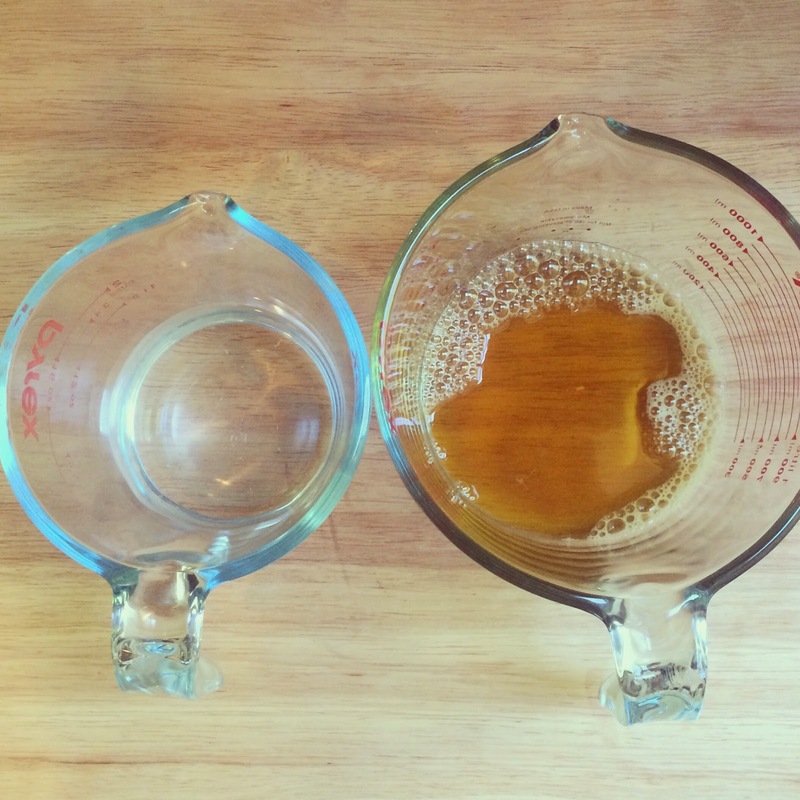 These two ingredients will be for the liquid phase. 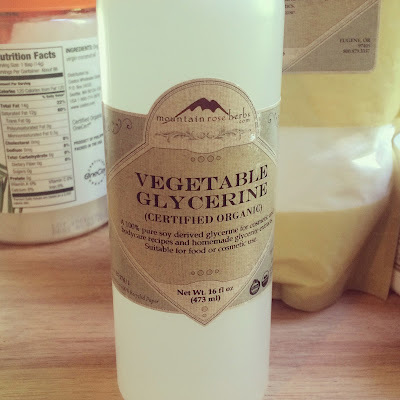 Vegetable glycerine is helpful in pulling oxygen into the skin and helping it to retain moisture. 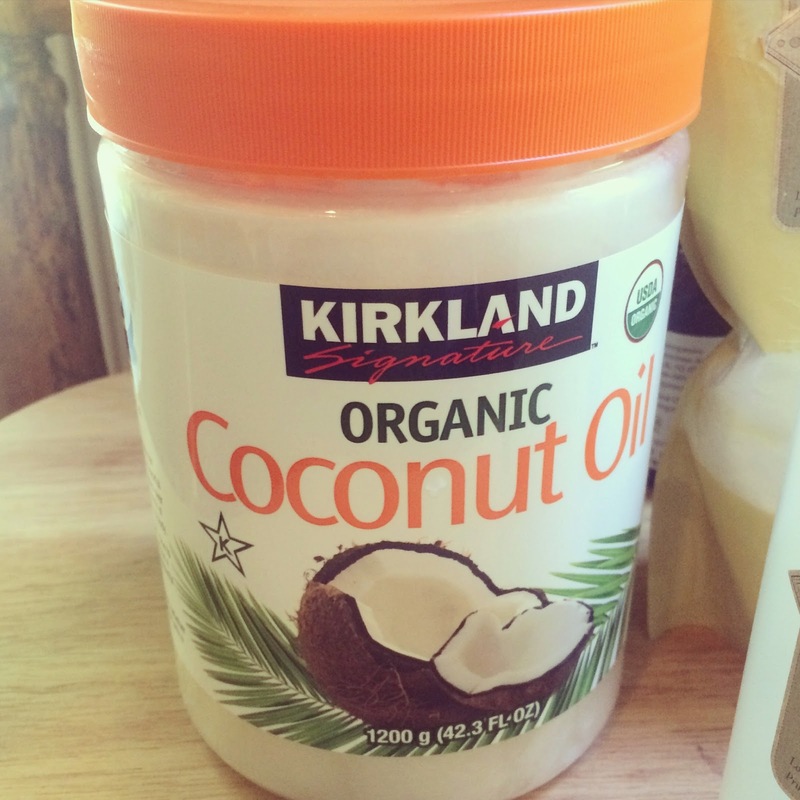 You need 2 tablespoons of coconut oil. I found a really good deal on organic coconut oil from Costco a few weeks ago. I cook with coconut oil a lot. 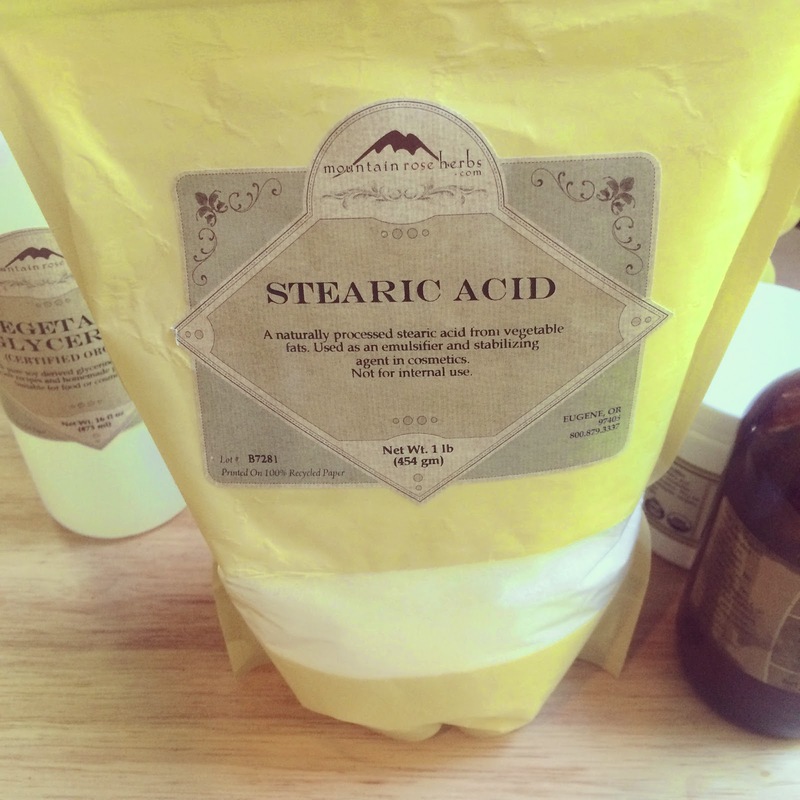 You need 1 teaspoon of Mountain Rose Herbs Stearic Acid. You can buy it HERE. 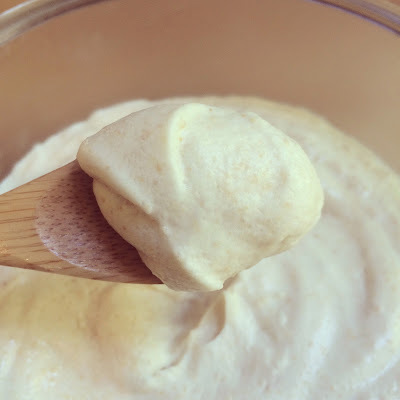 It is used to help the formula emulsify and remain creamy. 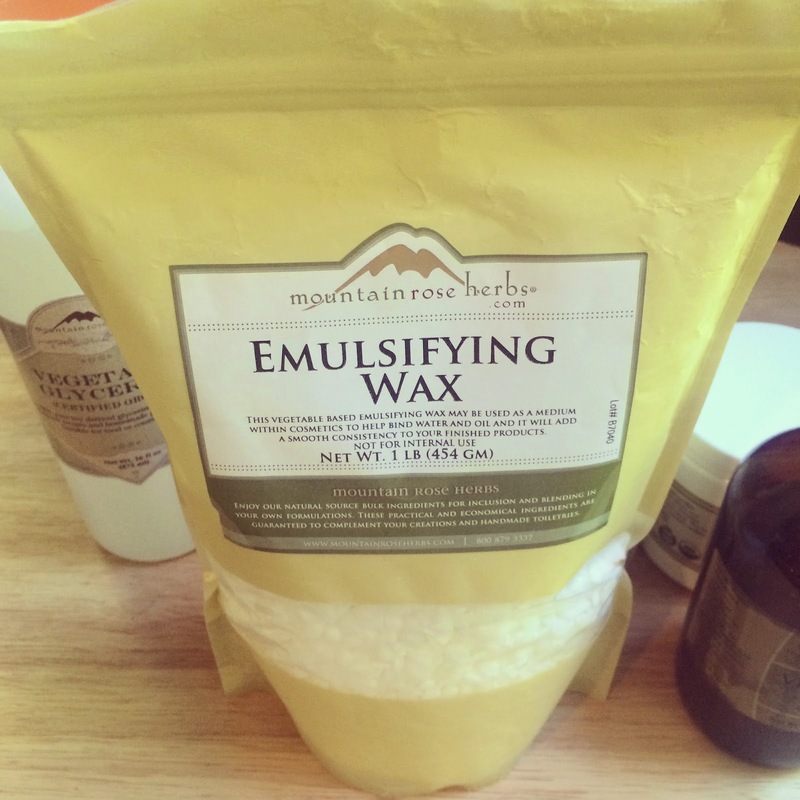 You need 2 heaping teaspoons of Mountain Rose Herbs Emulsifying Wax. You can buy it HERE. 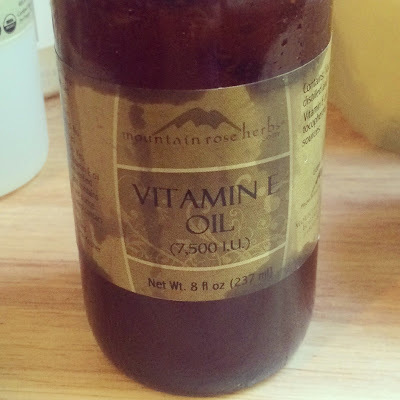 I like the Mountain Rose Herbs brand because it is vegetable based and is sourced from naturally occurring fats and esters and is ideal for blending recipes that contain oil and water. 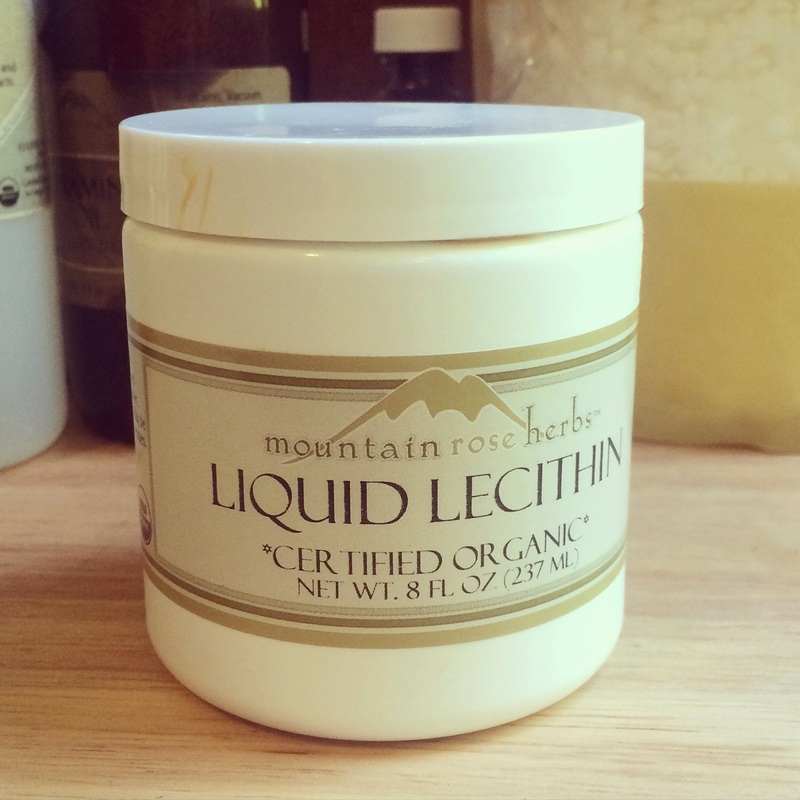 You need 1 teaspoon of Mountain Rose Herbs Liquid Lecithin. You can buy it HERE. 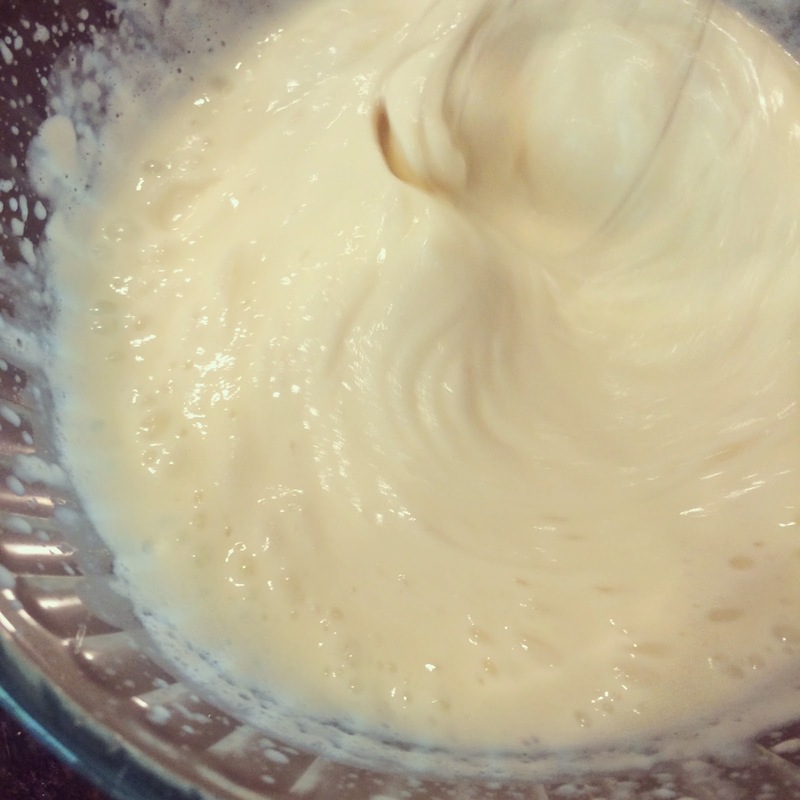 It is used to help thicken and emulsify the recipe. You need 1 teaspoon Mountain Rose Herbs Vitamin E Oil. You can buy it HERE. 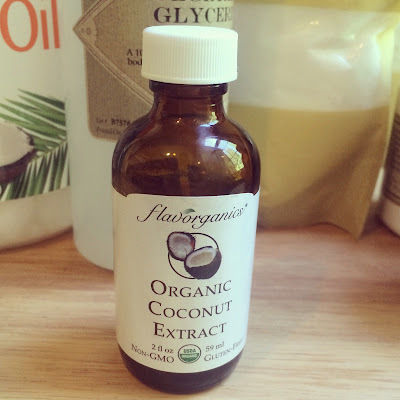 You will need 1 tablespoon Coconut Extract. I buy mine from Whole Foods. This gives the scrub a delicious coconut aroma and is all natural. 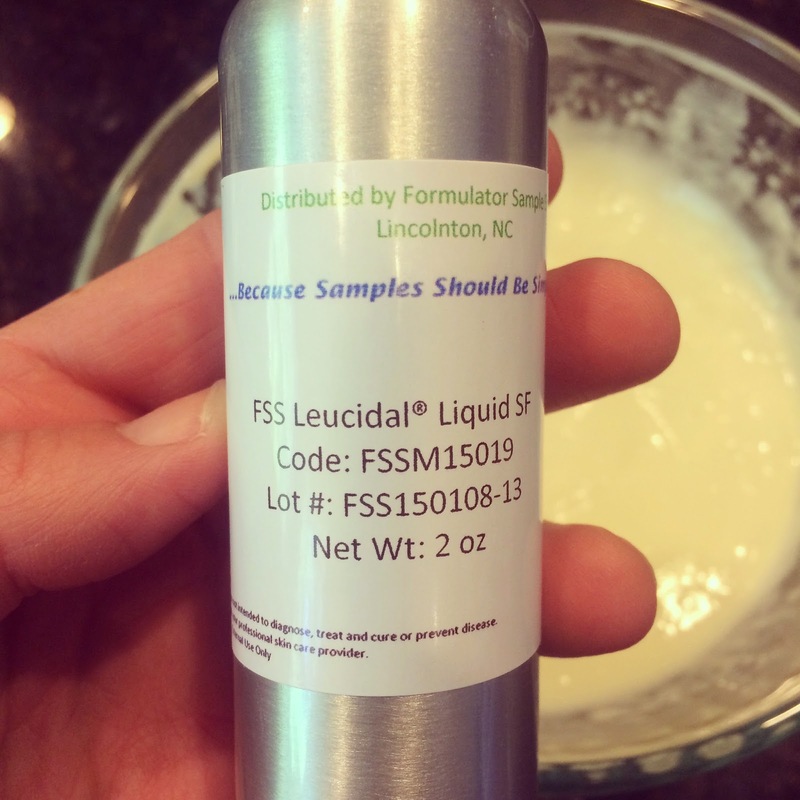 I used 10 grams of Fig Seeds that I received as a sample from the Formulator Sample Shop. I really like how gentle and effective fig seeds work at exfoliating the skin. You can order them by visiting them online at www.formulatorsampleshop.com. 1. Measure the distilled water and vegetable glycerine into a glass measuring cup and sit this in a saucepan containing a few inches of simmering water. 2. 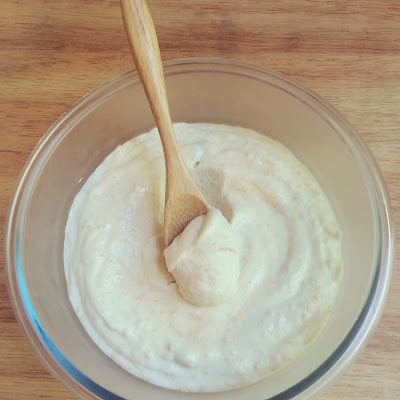 Measure out the coconut oil, stearic acid, liquid lecithin and emulsifying wax into a glass measuring cup and sit it in a saucepan containing a few inches of simmering water. 3. 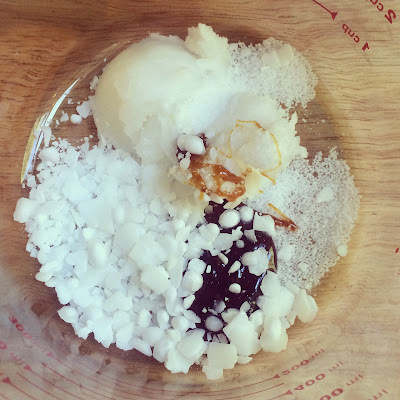 When both mixtures have reached a temperate 160 degrees F, remove them both from the simmering water. 4. Carefully pour the oil mixture into a heatproof mixing bowl and begin mixing with a hand-held mixer set on medium speed. 5. Carefully add the water and glycerin, and continue to mix for 5 minutes. 6. Once it cools to 100 degrees F, add in the Vitamin E and the Coconut Extract, mix well. 7. I added in Leucidal® Liquid SF that I received from the Formulator Sample Shop as a natural anti-microbial to help inhibit the growth of a variety of bacteria and fungi that often like to move into water based recipes. This particular ingredient is on the Whole Foods Acceptable Premium Preservative List. I am still going to keep my Creamy Coconut & Fig Seed Body Scrub in the refrigerator and use it within two weeks (and that is all you need to do too!) simply because I won't know 100% sure it is germ-free even with the preservative unless I send it to the lab for testing. I used the preservative at 4% rate. You can find out more about this and other natural anti-microbial options by visiting www.formulatorsampleshop.com. 8. Sprinkle in the fig seeds and stir well to combine. 9. Transfer to a sanitized container with a lid and store in the fridge for best results. I apply a generous amount all over my body and massage in gentle circular motions to exfoliate my skin. I then rinse the scrub away in a warm shower (be careful as your tub or shower may become slippery) and pat dry. My skin is left feeling super smooth and moisturized and smelling like sweet coconut. 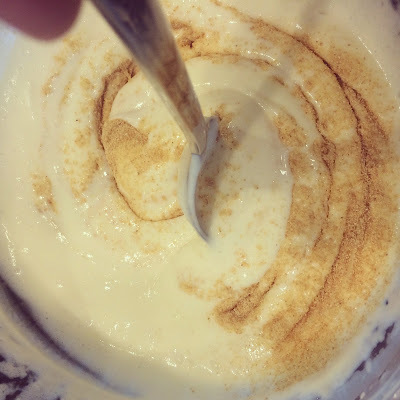 I hope you enjoy making and using this recipe. Let me know how much you like it or email me at freshpickedbeauty@gmail.com if you have any questions. Cheers!!! This information is for educational purposes only, it is not intended to treat, cure, prevent or, diagnose any disease or condition. Nor is it intended to prescribe in any way. This information is for educational purposes only and may not be complete, nor may its data be accurate. As with all herbs, . Do not take internally unless working with a qualified and expert practitioner. Keep away from children. I am an affiliate with Mountain Rose Herbs,please review my disclosure page for details.. Avoid use unless discussed with your physician. This information is for educational purposes only. This information has not been evaluated by the Food and Drug Administration. This information is not intended to diagnose, treat, cure or prevent any condition or disease. Green Blessings!!! I received some free samples of product to try out by The Formulator Sample Shop but my opinion about them are unbiased.